2 Days Left to get it in time for Mother’s Day with standard shipping! Use Avon FREE SHIPPING Code GIFT4MOM at checkout to get FREE SHIPPING on any order over $25.00. Shop the Mother’s Day Boutique Now! This offer expires on Midnight, ET, April 28th, 2016. Offer is valid for Direct Delivery Only. Step 1: Enter Avon Coupon Code EARTHDAY during checkout. Step 2: Receive a FREE Earth Day Tote in celebration of Earth Day with your $60 order. Expires Midnight 4/24/2016 ET. Direct Delivery Only. While Supplies Last. 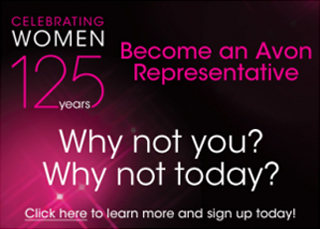 Avon reserves the right to substitute any free item offered with an item of equal or greater value. Online Exclusive, Limited Edition Earth Day Tote. 100% cotton, vegetable ink. 15 3/4″ H x 15 1/4″ W; handle drop, 10 3/4″. Avon will donate $2.00 to the Avon Foundation for Women to fund reforestation programs through the Avon Healthy Forests, Beautiful World program. Tropical forests are the “lungs of the earth,” helping to mitigate climate change and ensuring the wellbeing and livelihoods of women, families and communities around the world. At Avon, we are committed to supporting global reforestation. Avon’s Healthy Forests, Beautiful World global fundraising program has donated more than $7.5 million for global reforestation since 2010. 100% of the donation will fund reforestation projects managed by World Wildlife Fund (WWF) and The Nature Conservancy (TNC) in two of the world’s most critically endangered ecosystems. Avon funding supports TNC and its partners in their goal to plant one billion trees by 2025 and has enabled the planting and protection of more than 4.5 million trees in Brazil. Since 2011, Avon has supported WWF’s New Trees program, a reforestation program focused on community-based planting, monitoring and maintenance of more than 148,000 tree seedlings in the degraded forests across the Indonesian islands of Borneo, Sumatra, Java and Lombok. These Indonesian forests also provide habitat for orangutans and elephants and are estimated to absorb more than 6,000 tons of CO2 over the next 10 years. For a limited time only, use Avon Shipping Code SHIP25 and get FREE SHIPPING on any order over $25. Click Here to start shopping and SAVING. This offer expires at Midnight ET, April 21, 2016 and is valid for Direct Delivery Only.